Hi Everyone! I'm so excited today to do my first Guest Design post for The Greeting Farm! I used the "EverAfter" set for this card. The cute little Princess Bean, the Castle, and the sentiment are all from the set. I also used the Tulip Border die, I colored it up with my Copic Markers as well. CC Designs New Release day!! Hello everyone! Today is the day! CC Designs release day! Yay! And believe me you will not be disappointed. This release has everything you need for beautiful fall and thanksgiving cards. For my showcase card I used the news "Nancy With Sunflowers" . I also used Nutty Buddies" for the sentiment and the "Make a card #9" die set also from the September release. Thanks for coming by! Pop back tomorrow for another showcase card! Hello everyone! Today I'm sharing my card I made for the CC Designs newsletter. I used one of the new releases from Doodle Dragon called Chicken Soup. A very simple card but I think s perfect way to tell friend or loved one that you care for them and are thinking of them! I hope it inspired you to make more get well cards too. Hello everyone! Today I'm sharing my card I made with the July La La Land Club Kit! Warning Cuteness alert! This is definitely one of my faves so far! I have only been a kit subscriber for Three months, but I can say for sure that the value for money in these kits is fantastic, you get an image stamp, several sentiment stamps and several dies in each kit every month! I also added some details to her with a with gel pen and a Wink Of Stella Brush Glitter pen. Isn't she the cutest?! Avery is colored With Copic Markers and fussy cut. The sentiment is from The Greeting Farm, and the clouds are from My Creative time. Thank you so much for popping by today! Hello everyone! Today I have a card to share with you featuring "Lucy With Teddy. Isn't she the sweetest?? I just love her adorable little expression! I tried to use the "Make a Tag #6" die set in a different way so I used it ad my sentiment mat, its upside down and still looks adorable! I all used the " Halloween Boo" enamel dots, but this isn't a Halloween or Fall card, its fun to find creative different ways to use your stash! Hello everyone! Today I'm sharing my December La La Land Club Kit card with you. I actually didn't start getting the Kit until June, but Irina was Kind Enough to let me purchase the December kit! Woohoo! You can find more info on the Club Kits Here. I really love the Kits because you get your stamp and several dies, plus a few sentiment stamps. Its a fantastic value for you. The only Dies I used that are not from the kit is the big oval and the sentiment mat, they are both from Stitched Elements you can find them Here. All the Flowers are from Wild Orchid Crafts. Thank you so much for Joining me today, and if you are on the fence about the La La Land Club Kits... just go for it! Its like Christmas in your mail box every month! She is so very sweet, and perfect for any sewing savvy people in your life! My next card is with Cupcake Emma. I love her too! So perfect for birthday cards or even Birthday Banners and décor! I'm so happy you stopped by today, and go check out all the other new release stamps! she is so sweet with her little bubble wand! I used Copic Markers to to color the image. The designer papers are from the "Cut and Paste" collection by Amy Tangerine. The sentiment is from The Greeting Farm, and all the flowers are from Wild Orchid Crafts. Thank You for Popping by today, have a wonderful day. Hello everyone! And Happy Saturday! Today I have a pretty in pink card to share with you featuring Anya Styles from The Greeting Farm. Isnt she fabulous?? I gold embossed a cityscape behind her using stamps from CC Designs. The awesome sentiment is by Amy R also from CC Designs. All the flowers are from Wild Orchid Crafts. The pretty heart border at the top is from the December La-La Land Club kit. I'm entering this card into the August Farm Fresh Challenge at The Greeting Farm. Doodle Dragon snd By DIEzyne new release blog hop!! Hello everyone! We are excited to announce the third release from By DIEzyne Dies and Doodle Dragon. We are celebrating this weekend on Passionate Paper Creations and Friends Facebook Group and C.C. Designs Facebook Group. We are kicking everything off with a really big blog hop! Here is my card for the hop using By DIEzyne card DIEzyne #1 and Doodle Dragon Warm Wishes rubber stamp. Make sure to visit each blog and leave a comment. Two of our blogs have prizes to give away, but we are not telling you who! You have until Sunday, August 9th at 8:00pm eastern time to enter for a chance to win. There are more chances to win over the weekend on Passionate Paper Creations and Friends and C.C. 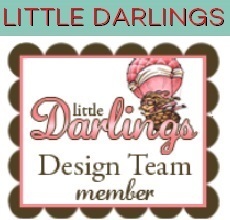 Designs Fan Page - Facebook Groups. Make sure to come join the party!